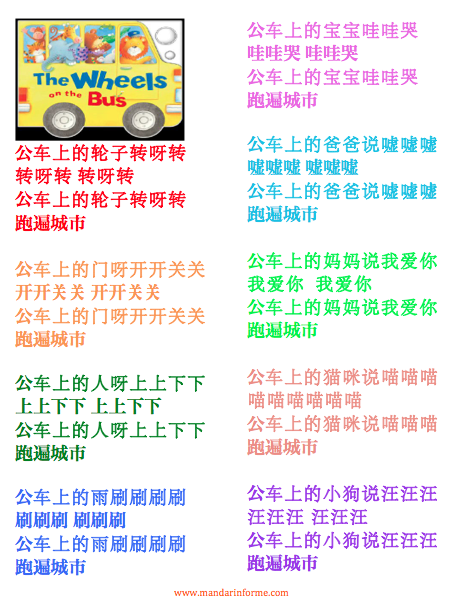 The Wheels on the Bus, 公车上的轮子, is a popular Western children song, and now you can learn to sing it in Mandarin. This is a great song loved by kids of all ages even as young as a few months old! Children love to add verses and act out movements when they sing the song. With its highly repetitive and catchy tune, learning it in Chinese will be so fun! Watch my video to learn how to properly pronounce the lyrics, and then sing with me and act out the movements. 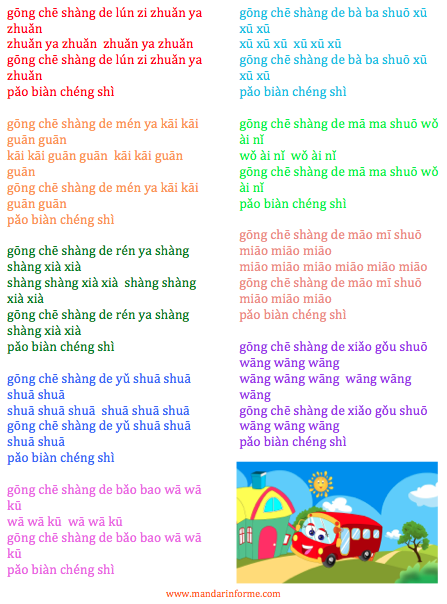 Download the colorful lyrics pages in Chinese, pinyin, and English. Practice Chinese vocabulary from the song with interactive flashcards, and then test your knowledge by taking an interactive fill in the blank quiz. For added fun, print out the template for a 3D bus to use as a perfect prop when singing this song. Don’t forget to watch the original version of the song by 智慧树 all the way on the bottom of this page. Print out the following template on thick card stock. Fold along the dotted lines and press firmly together. The dotted lines should be folded white sides together and apply glue. Use as a prop when you sing the song! Annotated lyrics for the above version of the song. 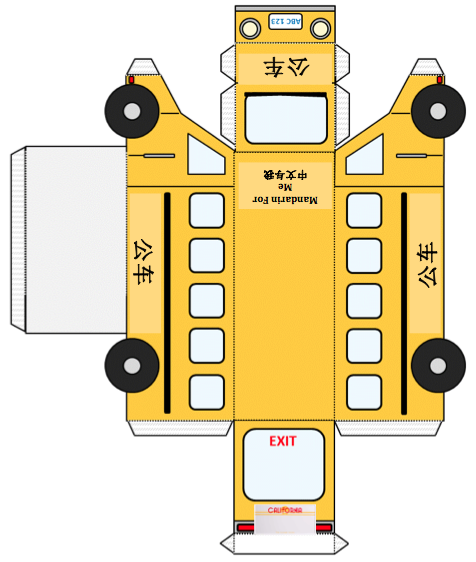 Hover over any Chinese word(s) to see the pinyin and English translation.